"We always have so much fun dressing up"
"Our nativity play was awesome!" "Nothing beats being creative in the great outdoors!" Bredon Playgroup is a community pre-school set in the Church Rooms, next to St Giles Church in the village of Bredon. 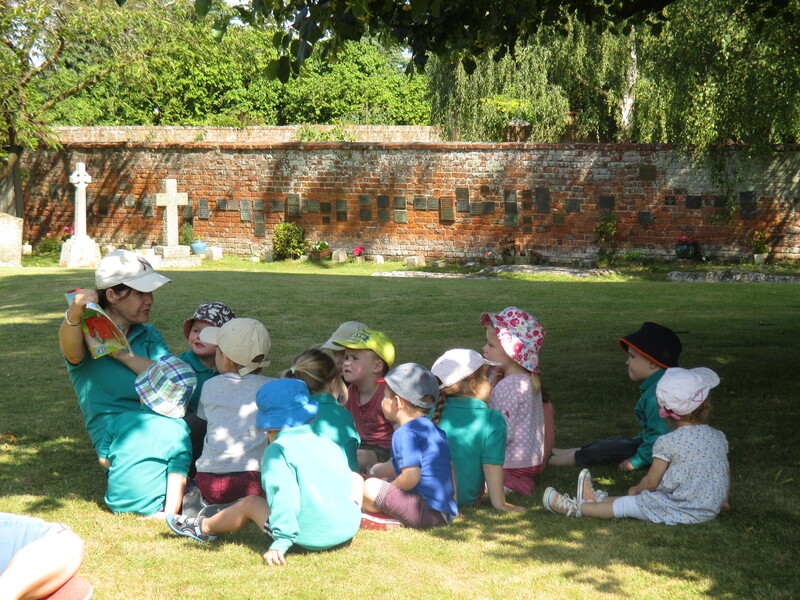 The group is run by experienced staff and managed by a committee of parents. Bredon Playgroup is self-financing and is a registered charity. Bredon Playgroup provides a safe and stimulating environment for children to learn through play. Children need to learn to express themselves, to develop their skills and to be socially confident. Our aim is to build these skills, enabling children to enter school confidently and enthusiastically. We have a happy, friendly atmosphere and there is always plenty of fun taking place! We currently have spaces available from September 2017 for children who are 2 years of age or will be 2 before the end of August 2018. Bredon Playgroup. Registered Charity No. 1053149.